Gladiolus plants are lovely spikes of color that grace the landscape in summer. They are not very winter hardy and many northern gardeners may experience the frustration of their gladiolus not blooming after the cold season. If you have had occasion to ask why your glads did not flower, get some answers on the variety of reasons for no blooms on gladiolus here. Gladioli grow from corms, which are underground storage organs much like bulbs. Glads thrive in sunny warm areas of the garden with good drainage and rich organically charged soil. The corms should be healthy at planting in fall and around ¾ inches in diameter. Gladiolus come in a riot of colors and will re-bloom every year. Northern gardeners will need to lift the corms in fall and store them through the cold season to protect the gladiolus from freezing temperatures. Site Conditions – Site conditions are a classic possibility. The corm may have experienced a freeze or be planted in a zone where flooding takes place. Corms crack and get mushy once frozen and soggy corms will mold and rot. If the area has become overgrown or shaded by a tree or hedge, there will be no blooms on gladiolus since the plant needs full sun to bloom. Additionally, the planting site may become too compacted over time for the slender stems and leaves to push through. Lifting and re-cultivating the soil annually will ensure this doesn’t occur. Age – Gladiolus corms will expand and increase over time, but the original corms will eventually become spent. The number of years before this happens will vary but usually the new corms will take up the slack. 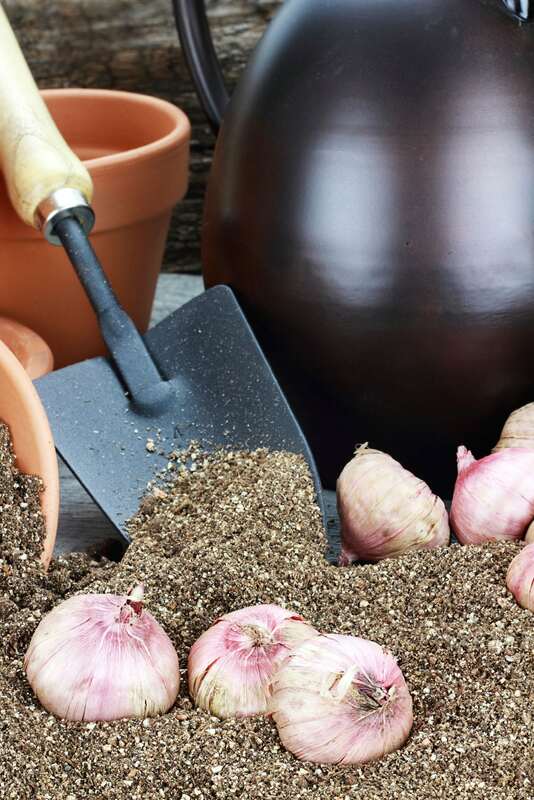 Fertilizer – Newly planted corms may also not bloom because the corms were too small. 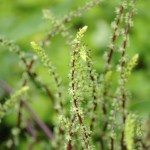 Wait a year and fertilize with a balanced 8-8-8 plant food in spring to encourage both foliage and bloom formation. 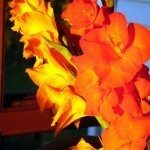 Annual fertilization is key to getting a gladiolus plant to bloom but avoid any food with a high percentage of nitrogen, which helps form foliage. If your glads did not flower and are near the lawn, they may suffer from the inability to form blooms due to the high nitrogen content of lawn fertilizers. Adding a high phosphorus fertilizer or bone meal around your plants can help offset this. Pests – There will be no blooms on gladiolus that have been infested with a tiny pest called a thrip. The feeding activity of this “no see’um” bug causes the forming blooms to wither and fall off the plant before they can fully form. There are a number of insecticides you can use to kill off the nasty little insects, like neem oil, or try a horticultural soap. In some regions, squirrels, field mice and moles may be responsible for a gladiolus not blooming. These animals may take a liking to the corms and munch on them, causing the “glads did not flower” scenario. Disease – Rot is the most likely disease culprit for no blooms on gladiolus. Corms are also susceptible to root blights, bacterial scab, as well as several viruses. Always store corms in a dry place and choose corms that are healthy and without blemishes.